I’d begun my upgrade to Jaun­ty last night around 7pm, and woke up this morn­ing to find that the pack­age down­loads had hard­ly made any progress. This because the main Ubun­tu servers are being ham­mered due to Jaunty’s release yes­ter­day morn­ing. I fol­lowed one tuto­r­i­al that should have set me up to down­load (and upload, I assume) all the pack­ages through a peer-to-peer pro­to­col, but that didn’t seem to help at all. It did make me more com­fort­able edit­ing my /etc/apt/sources.list file, how­ev­er, so I thought I’d try stick­ing some mir­rors in there, rather than using the gener­ic us.archive.ubuntu.com servers. 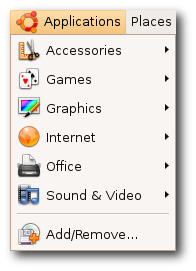 …and did a search/replace on all instances of us.archive.ubuntu.com/ubuntu/ with ubuntu.media.mit.edu/ubuntu/. Re-ran the upgrade through update-manager, and I was down­load­ing at blaz­ing speeds that com­plet­ed in just about five min­utes. If you’re hav­ing a rough time get­ting your upgrade to com­plete, find a near­by serv­er from this list and stick it into your sources.list file. Look­ing for­ward to using 9.04!